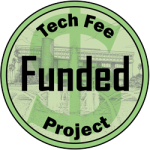 This proposal expands on the previously successful 2012 Comparable Technology for Regional Campuses Tech Fee. This request is for 10 laptops with extra power cables (five for Valencia West and 5 for Osceola), one scanner and PC to operate it (Valencia West), and an upgraded multifunction printer/copier/scanner (Daytona). The John C Hitt Library has a long and successful track record of facilitating student use of new and emerging technologies. At present the main library lends laptops, DVD players, iPads, Flip and digital cameras, voice recorders, scanners and portable Blu-ray players. Regional campus students expect access to similar equipment so Regional Campus Libraries have begun using Tech Fee Proposals to acquire laptops and iPads. Successful lending now occurs on four campuses. All of the participating UCF librarians have consulted with both UCF Regional and college partner IT and Circulation staffs to determine support for each project. All equipment will first be processed by UCF Regional Campus IT staff to take advantage of campus licensing for Microsoft Office and for property control. Laptops represent a significant learning tool given the expansion of electronic library resources. Purchase of library materials for regional campuses continues to focus on electronic formats that provide multiple access points without duplicate costs. The Libraries ever-increasing expenditures for databases, electronic journals and e-books demonstrate the importance of this format and consequently, the importance of the ability to retrieve materials on portable devices. Other uses for the laptops include access to reserve reading lists, web courses, and course videos. This proposal offers essential access to resources for students who may not have ready access to equipment outside of the library facilities. It also supplements existing library equipment by providing additional wireless computers. A stand-alone, contactless flatbed scanner is preferable to a multifunction printer for users who work with books, transparencies, multi-page or two-sided documents. It would be useful for the Architecture program students’ drawings and art projects that benefit from higher resolutions and better software. The overhead scanner saves book spines from getting crushed. It has an image correction feature that flattens the image. It can save documents in a variety of formats, even send the image to a phone. This request is actually for an upgrade to an existing piece of equipment. At present there is only a printer attached to the UCF computers in the Daytona library. This replacement would also offer copy and scan capabilities. On this campus access to paper copies in the library is not readily available for UCF students through the partner’s print system. Number of students to simultaneously benefit is equal to the pieces of equipment requested: 10 laptops, 1 scanner and 1 copier/printer/scanner. Laptops will be available for check out to any student registered on the specific regional campus that is circulating the equipment. Some equipment in this proposal may be available for use outside the library building and may be available for use for a period of up to one week. Lending procedures may vary with each unique partner library’s policies. Library hours of access vary by campus with Osceola at 74, West at 75.5, and Daytona 64.5 hours or an average of 71.3 hours per week. As is the practice in the Orlando library, students will be required to sign a form accepting responsibility for replacement costs if the equipment is lost, stolen or broken. Equipment will be available either at the reserve or circulation desk depending on the campus configuration. The partner wireless network will be used on the Valencia campuses. This request is to provide equipment that meets minimum library standards and user expectations. There are a number of well-known general benefits to providing students with access to the latest technology. Exposure to updated technology and software helps students develop skills for using the equipment effectively. Making access to databases easier through practice helps students learn how to successfully search for and use information. It is critical for students to develop these skills and experiences to be competitive in the workplace. This project supports the University’s goal of partnership by strengthening resource sharing with both college partners and potential UCF transfer students. Circulation statistics and student demand will serve as the measures of usefulness of the equipment lending project. Regional campus librarians will collect anecdotal data from students as part of their regular outreach communications. The national LibQUAL+ survey annually assesses UCF student satisfaction with library programs and services. Recent usage statistics are available from some libraries for bench-marking purposes however statistics vary significantly based on location and implementation date. Because laptops are so much more popular than iPads, only laptops are being requested at this time. This new equipment may be considered a one-time expense for the life of the warrantied equipment. The Libraries will continue its sharing mission and the pursuit of funding to provide resource access for students. Regional librarians will pursue future Tech Fee Proposals and all other appropriate fiscal avenues to continue to provide exposure to emerging technologies and software for regional campus students. Librarians have secured support from local UCF Regional and college partner IT staff for assistance as needed. The Regional Campus budget includes sufficient resources to satisfy costs of paper, toner and routine maintenance. Estimated total cost of the equipment is $23,998.40 (minus cost share of $2,400 = $21,598.40) divided by 12 simultaneous users for a cost per student of $1,999.87($1,799.87 cost share). This cost per student is greatly reduced by the number of times an item is used per day. The same cost divided by an estimated number of regional students (1808 Headcount Fall 2014) registered on the participating campuses yields a cost per student of $13.27 ($11.95 with cost share). Equipment will be received and processed by UCF Regional Campus IT before being distributed to the various campus IT departments. UCF local Regional and partner IT staff may add additional software as necessary, for example pay-for-print or accessibility software. Laptops will be available for student use according to partner circulation procedures.